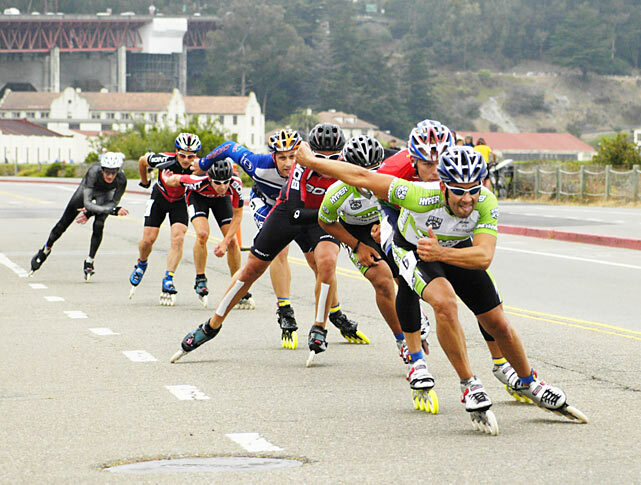 Instigator - Hyper's Jon Elliot attempts a breakaway several laps from the finish of the San Francisco Inline Marathon. 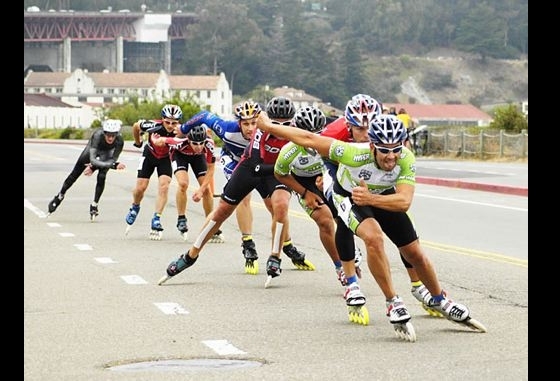 The 35-year-old skater pushed the pace at several points during the 25.5-mile race. In this case, he was unable to shake Dane Lewis, who sits behind him in second place.